Updated: March 29th 2017 – Added the autofocus motor type acronym DC (Direct Connect) to the list. 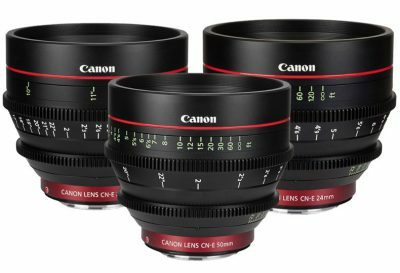 Updated: April 15th 2016 – Added Canon’s new BR (Blue Spectrum Refractive) lenses to the list. Updated: April 16th 2016 – Canon’s new 18-80mm CN-E lens also carries the new designation KAS S COMPACT-SERVO, confirmed by Canon to be the first in a new line of lenses. Updated: September 5th 2018 – Added the new Canon RF mount mirrorless system. The RF mount is Canon’s newest lens mount, designed specifically for full-frame mirrorless cameras and launched in September 2018 with the EOS R. At launch, Canon unveiled 4 new RF mount lenses and a set of 3 EF to RF adapters to allow the millions of existing EF lenses to work with the new EOS R mirrorless camera system. 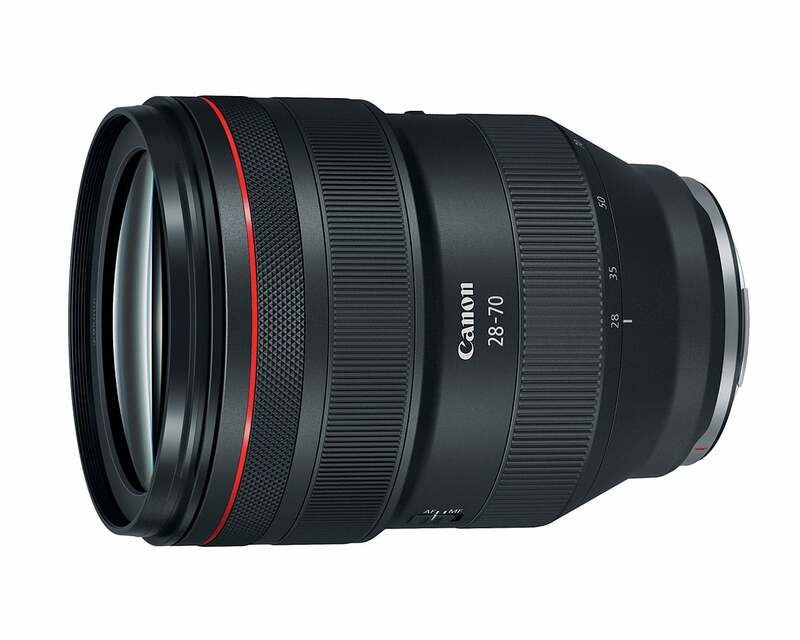 The shorter flange depth of the new RF mount, compared to the older EF mount, will make several new lens designs a possibility – something which Canon immediately demonstrated by launching the stunning RF 28-70mm f/2 L. An f/2 zoom lens in this range was previously unheard of! The new RF mount dimensions will also lead to much smaller lenses, as was also demonstrated by the small size of the RF 24-105 f/4 L compared to its EF cousin. The EF mount is today’s standard Canon DSLR mount and was introduced in 1987. An EF mount lens will attach to any EOS camera, so it will work with full frame digital sensors, as well as crop sensor cameras and EOS film cameras. The EF mount was introduced to allow for the design of autofocus lenses which were not possible with the previous FD mount. If you want to learn even more about the technology in Canon lenses, this video from the end of 2014 is a great watch! The -S of EF-S stands for “Small image circle” and indicates that this mount is only capable of an image that covers an APS-C sized digital sensor, not a full frame 35mm one. When an EF lens is used on an APS-C camera, only the middle portion of the lens is actually used. This means that a lot of the cost and weight of an EF lens is wasted on a crop body camera. In 2003, Canon launched the EF-S mount to solve this and offer cheaper and lighter lenses for APS-C cameras. All EF lenses will work on an EF-S camera, but EF-S lenses will not work on anything other than an APS-C camera. This is a consideration for beginners who start out with a crop camera and intend to move to full frame one day. EF-S lenses will not work with a full frame camera. 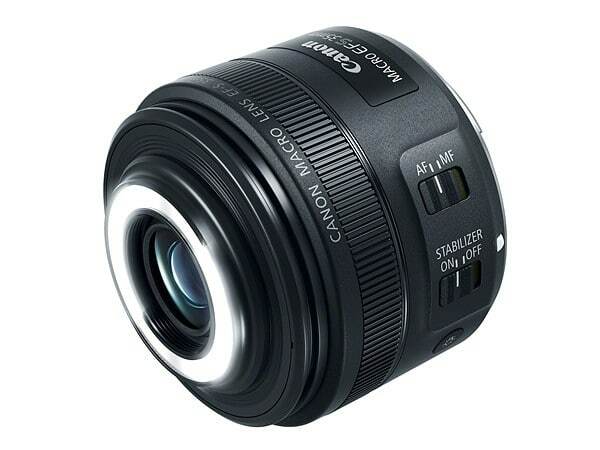 The EF-M mount was introduced with the first EOS M mirrorless camera. The lenses are capable of covering an APS-C sized sensor. The lenses are very small when compared to EF-S lenses which are also designed for APS-C sensors. EF and EF-S lenses can be used on an EF-M mount using an official Canon adapter which maintains AF and all auto function, though in my experience it severely degrades the AF speed and accuracy. With the introduction of the EOS M5 and M6 cameras, Canon finally showed that they are committed to the idea of a mirrorless system, so let’s hope we see some more lenses roll out for this mount soon! 1971 saw the introduction of the FD mount with the Canon F-1. The FD mount is a 35mm mount that was used up until the 1987 introduction of EOS cameras and the EF mount which would allow the introduction of autofocus lenses. FD lenses are manual focus only and you can still make use of them today using FD->EF adapters. There’s some real bargains to be had on eBay! In 1978, Canon launched the ‘New’ FD lenses, or FDn. All of these lenses received the SSC coating treatment (see further down the page) so there was no longer a need to distinguish which lens has which coating. Other than not having the SC or SSC lettering on the lens anymore, FDn lenses are identical to FD lenses. Introduced in April 1964, FL mount lenses are nearly the same as FD mount lenses. FL lenses can be used on an FD mount camera. The main difference between the two is that the older FL mount lenses need to be metered with stop-down metering. Metering with a wide open aperture is not possible with an FL mount lens. 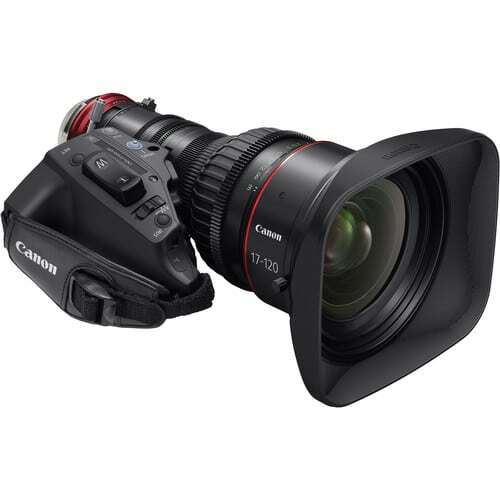 With the 2012 introduction of the Cinema EOS camera line and the Canon C300, Canon made a move on the professional film production market and with that, they added the cinema industry standard PL mount to some of their cameras. PL mount is only available on higher end Cinema EOS cameras and those cameras also have the option to be fitted with an EF mount if it is preferred. Alongside the introduction of the Cinema EOS camera line, Canon also introduced a line of lenses that have the option to be fitted with a PL mount or an EF mount. The PL mount is a very robust design that is much stronger than typical DSLR lens mounts since it is designed to work with cinema lenses which can weigh up to 30lbs! Note that these lenses are MUCH more expensive, for example the PL mount Canon 30-300 is $44,000!! 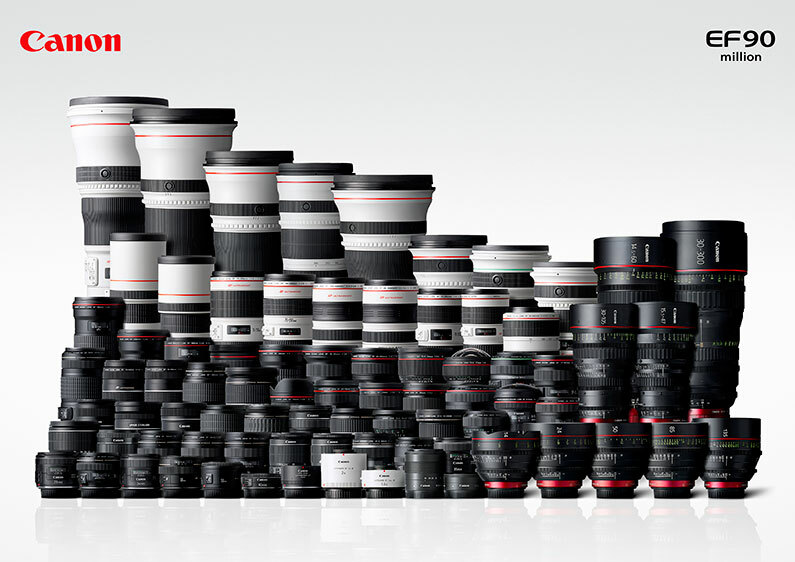 Canon’s L lenses are designated by a prominent red ring around them at the front, and represent their top of the line, professional grade optics. Lenses range all the way from the unique, super wide 8-15mm f/4 L Fisheye Zoom, to the super long 800mm f/5.6 L IS. Shorter L zooms and prime lenses are black in colour, but the 70-200, 70-300, 100-400 and all super telephoto prime lenses from 200 through to 800mm, are painted in Canon’s famous off-white colour. All L lenses feature Ultrasonic motors and almost all of them are weather sealed to match Canon’s prosumer and professional camera bodies. Some newer L lenses like the 100mm f/2.8 L Macro, feature durable polycarbonate bodies, but the majority are metal, with newer super telephotos like the 200-400 f/4 L IS featuring substantial amounts of super lightweight magnesium alloy. These lenses are the cream of the crop; super durable, fast focussing, incredibly sharp and usually with a price point to match the lust factor! Most popular L lenses: Canon 70-200 f/2.8 L IS III | Canon 24-70 f/2.8 L II | Canon 100-400 f/4-5.6 L IS II | Canon 50mm f/1.2 | 35mm f/1.4 L.
Canon’s Diffractive Optics lenses (DO) are built to the same exacting standards as L series lenses, but these are designated with a green ring around the lens barrel instead of a red one. Diffractive optical technology allows the usage of a smaller number of glass elements within a lens, by utilizing optical elements that bend the light much more than regular glass elements from other lenses which normally use refraction. The result is a much smaller and lighter lens than an equivalent that was made with a more typical optical design. Canon does not yet have a large range of DO lenses, the most popular by far being the 400mm DO which received a MKII update in late 2014. A great many DO lens patents have been filed in recent years though, suggesting that Canon has finally perfected this technology to its satisfaction and is getting ready to roll it out to a much wider range of lenses. Macro lenses are designed specifically for close-up photography and should feature a 1:1 magnification. Canon also include a “Macro Mode” on the 24-70 f/4 L IS, which isn’t quite a 1:1 magnification but is nonetheless pretty impressive for inclusion in a standard zoom lens. Of particular note in Canon’s macro range is the 100mm f/2.8 L IS Macro which at under $1000, is one of the ‘cheapest’ L lenses on the market. Despite the low price (comparatively! ), it’s actually one of their sharpest lenses ever. Honestly, it is a real stunner!! One of my favourites. The EF-S 35mm f/2.8 IS STM Macro is also an interesting lens as it is Canon’s first EF-S mount lens to feature a built-in LED ring light to evenly illuminate your macro subjects, and it comes in at the extremely affordable price of just $350! On top of regular macro lenses, Canon also has three tilt-shift macro lenses that were introduced in 2017 (see next entry). Tilt-shift lenses are manual focus lenses that allow you to alter the angle of the plane of focus relative to the camera’s sensor. Normally the plane of focus is parallel to the sensor, but the tilt controls of a TS-E lens allow you to position it anywhere between parallel and perpendicular. The shift mechanism is used to correct the keystone effect of looking upwards at tall objects, like buildings or trees. Architectural photographers love them for the shift functionality, and landscape photographers love them for the tilt function which can give them perfect focus all the way to the horizon with a much wider aperture than you would typically need from a regular lens. They’re also often used by product photographers to ensure sharp focus on products from front to back, even when shooting at close distances. TS-E lenses are mechanically complex lenses with a lot of moving parts and as such, they are very expensive. In 2017 Canon launched their first TS-E Macro lenses with the TS-E Macro 50mm, The TS-E Macro 90mm and the TS-E Macro 135mm. Currently there is only one MP-E lens in the Canon lineup, the 65mm f/2.8. This lens is rather unique in that it allows an incredible magnification for “super macro” photos. Normally a lens is considered to be a macro lens when it can achieve a 1:1 ratio, but the MP-E takes that all the way from 1x to 5x. This is the lens you want if you need to photograph the eye of a fly, or the head of a pin. The lens is also unique in that it doesn’t have a focus ring. The only control is one that allows you to adjust the magnification and from there you need to alter the focus by physically moving the lens. With such high magnification, depth of field is incredibly shallow with this lens, to the point where a focus stacking technique is almost always needed to get desired results. Use with a macro focusing rail is also recommended. A fun lens to try, but one of the most technically challenging to create great results with. With the introduction of the Canon C300, Canon expanded its brand into the world of professional cinematography. A line of cinema specific lenses was quickly introduced alongside the camera, and this line has grown steadily since 2012. Cinema specific lenses carry the CN-E designation and all have a distinctive black and red design since they are also all marked as L lenses. 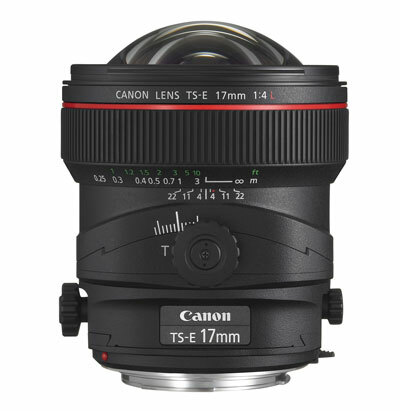 CN-E lenses are extremely expensive compared to DSLR still photography lenses. Canon’s own CN-E zoom lenses go up to $44,000, and CN-E EF mount prime lenses are in the area of $5000 each! CN-E lenses are manual focus only and also feature a manual aperture control ring. They are constructed for extreme durability and built to incredible standards. 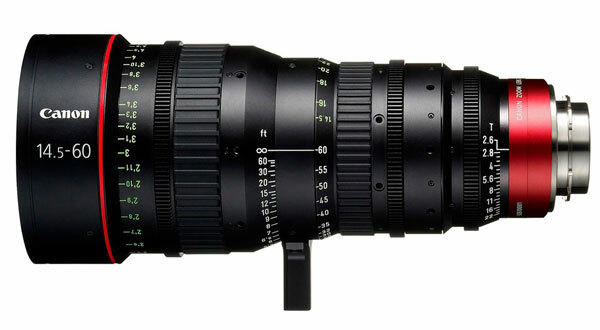 CINE-SERVO lenses are canon CN-E lenses that include (removable) hand zoom controllers. The first was the 17-120 T2.95 ($30K) and this was followed by the optically incredible 50-1000mm lens which even includes a built-in 1.5x extender to create a 75-1500mm lens! The price? Nearly $70,000! CINE-SERVO lenses are available with either an EF mount or a PL mount. The first lens with the COMPACT-SERVO designation was launched in April 2016. This was the CN-E 18-80mm T4.4, but at the time Canon’s executives were quick to underline this this was just the beginning for this new lineup and sure enough it was closely followed by the launch of the matching compact CN-E 70-200. This lens range is designed to fill the enormous pricing void between standard EOS lenses that were designed for stills photography, and the regular cinema specific CN-E zoom lenses that start at around the $20,000 mark. These more compact lenses employ the same kind of build quality that we would expect to see in Canon L-Series still photography lenses, and they feature all the cinema specific design elements you would hope for, like long-focus throw and a manual aperture ring. 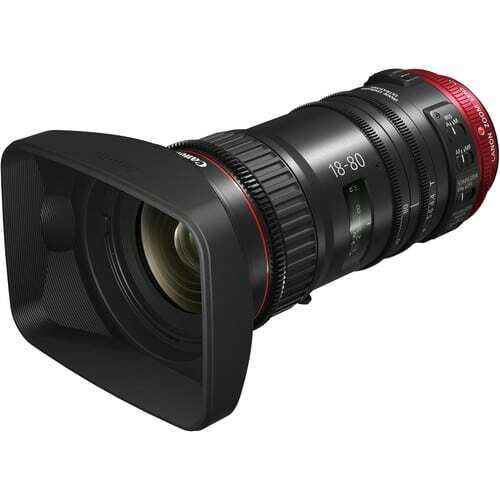 Unlike the more expensive, larger regular CN-E lenses, these lenses also feature image stabilization and autofocus capabilities to make them perfect for single operator usage. COMPACT-SERVO lenses are compatible with the optional ZSG-C10 zoom control, but also feature a zoom rocker that is permanently fixed to the base of the lens as well. COMPACT-SERVO lenses are only available with an EF mount, and not a PL mount like most of the other CN-E lenses because the electronic contacts on the EF mount are needed for the autofocus and image stabilization functions. Currently there is only one Compact Macro lens, a 50mm f/2.5. As the name suggests, this lens is much smaller than the other macro lenses in Canon’s lineup, but whilst having a very short MFD (minimum focus distance), allowing for close up work, the magnification is 0.5, rather than being 1x like a ‘true’ macro. There is however an adapter for this lens that extends it to 1:1 magnification. Only Compact Macro Lens: Canon EF 50mm f/2.5 Compact Macro + optional life size converter. The unique Canon 135mm Soft Focus lens had a ring around it that could be turned to apply a softer “dreamy” look to your images. This look was popular in the 70s and 80s with film photography and portraiture, long before the days of Photoshop. There would be no reason to use this lens today though, since we can apply a similar and higher quality effect using any number of software packages. ASC stands for Air Sphere Coating and was first introduced in 2014 with the launch of the 100-400mm f/4.5-5.6 L IS II. It was subsequently used in the 70-200mm f/2.8 L IS III as well. The coating is explained well in the above video, but essentially it is there to prevent flare and ghosting in backlit situations. You will not see the ASC lettering written on any of the lenses, although it does appear on the box/packaging for the lens. BR stands for Blue Spectrum Refractive and is a newer type of organic lens element that was first introduced with the 35mm f/1.4 L II. This BR element is designed to significantly reduce chromatic-aberration and mitigate the difficulties that traditional optical materials have with correcting blue wavelengths. BR lenses exhibit reduced blue/purple fringing chromatic aberrations. At the moment the only lens with a BR element is the aforementioned 35mm lens, but Canon have also displayed a prototype 600mm f/4 DO BR that’s currently unavailable. Lenses that feature optical image stabilization carry the IS designation. 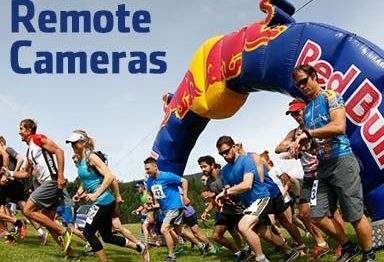 This technology uses a system of gyros to counteract your own movements and move the lens groups inside the lens to adjust for shake. The result is that you can handhold your lenses at much lower shutter speeds and still maintain a sharp image. Current technology is allowing up to a 5-stop stabilization effect, meaning that you can handhold your lens at a shutter speed up to (roughly) 5 stops less that you normally would be able to without the technology. 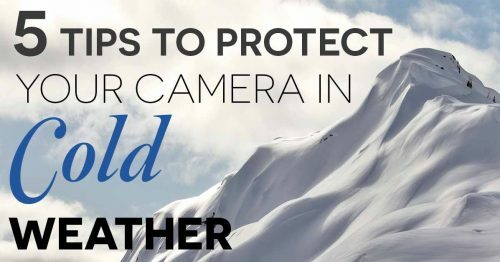 It helps low light shooting of static subjects and is popular with travel photographers who have to shoot in available light. 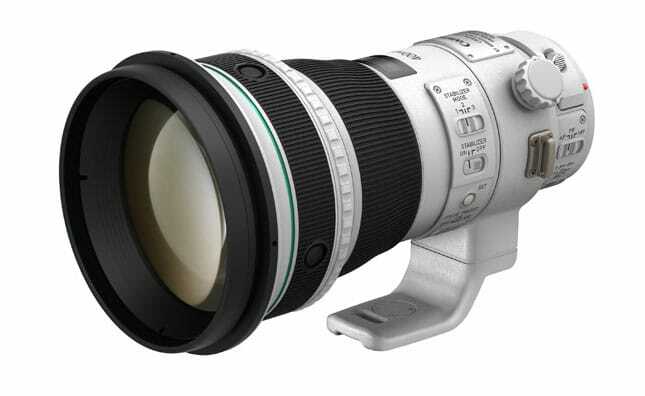 It’s also fitted to all Canon’s telephoto lenses which have several different IS modes. A lens with the USM designation means it features Canon’s UltraSonic Motor technology. Over time, this has now found its way into many of Canon’s current lenses. USM lenses are faster to focus, and the motors are also very quiet, though not as quiet as STM motors. Nonetheless, they are quiet enough to be useful in wedding shooting and wildlife photography where a certain amount of discretion is a benefit. Micro USM is simply a cheaper version of the USM design to be included in low end lenses and kit zoom lenses. It is noisier than USM, slower and does not allow for manual focus override (apart from the 50mm f/1.4). Despite being a lower grade of motor than USM, it’s still a considerable improvement over previous motor types which were much slower and much noisier. These older motors are discussed further down the page. The acronym DC stands for Direct Connect. Some of Canon’s older or more budget-friendly lenses uses a geared DC motor. Unlike USM or Micro USM lenses, lenses with a DC motor do not offer Canon’s fulltime manual focussing feature. DC motors are much slower to focus than USM, and they are also much noisier. STM stands for Stepper Motor, and this specific focus motor design was introduced to create a quieter and smoother focus for lenses that are being used to record video. STM lenses use a focus-by-wire system which means that the focus ring controls a motor, which in turn moves the internal lens elements. The benefit is, as mentioned, a quieter lens, but you lose that nice tactile focusing feel for manual focus. Canon has been slowly upgrading EF-S lenses to use STM motors, and all EF-M lenses use STM motors as well. 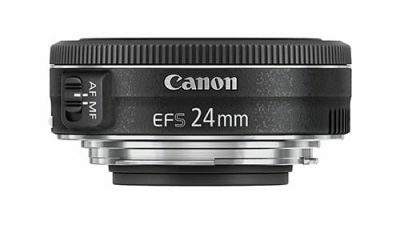 On the EF lens range, the 40mm f/2.8 pancake lens is currently the only lens with this motor type. The II designation represents a second version of a Canon lens. Whilst they themselves do not use the ‘I’ designation, it’s often used online to distinguish the older model from the newer one. In the current lineup there is also a version III of the 1.4x and 2x extenders, though no actual lenses have yet reached the version III stage. Spectra Coating and Super Spectra Coating were introduced to Canon lenses back in the days of the FD mount. SC was limited to cheaper lenses and SSC was for more expensive ones. The coating is applied to optical lens elements to increase contrast and decrease reflections and flare. 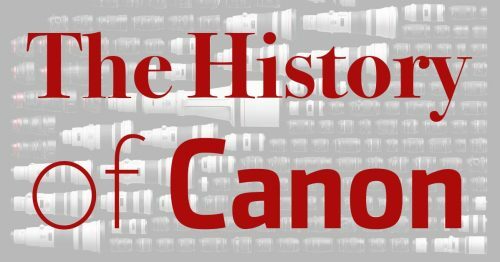 These days, all Canon lenses are coated with complex multilayer coatings so the SSC designation is no longer in use. Subwavelength coating helps to significantly reduce flare and ghosting and is the successor to the SC and SSC coatings. Arc Form Drive was Canon’s first autofocus motor technology and is no longer a part of any lenses in the current lineup. As you can imagine, these lenses were much slower to focus and much noisier than other lenses. Interestingly there was no manual focus override on AFD lenses. If you wanted to manual focus, you had to disengage the AF/MF switch. Today’s lenses allow us to override AF and use the focus ring whenever we want. After development of the AFD motor, Canon set about making a cheaper version of it to include in kit zoom lenses and other low end optics. The MM motor is the result and it’s even noisier and slower than the AFD motor and again features no manual focus override. Lenses that carry the KAS S marking are CN-E cine lenses that that have a servo controller for smooth zoom, iris and focus control. How about the DC motor and how it compares to the other auto focus motors? Thank you so much for educating us with appropriate information. Wish you all the best for your future success. This was super helpful to me. I’ve been taking photos for a long time as a hobby but I’m now ready to upgrade. I own a Canon 7D. I’m wanting to take photos of cowboys working on the ranch, specifically during branding time. Do you have a suggestion? My budget needs to stay under $2000 preferably. Thanks! I can make some suggestions if you tell me what it is about your current camera that isn’t satisfactory. Very good articles but you overlooked Canon two types of lenses from a long time ago. They are S lenses, screw mount, and R lenses, grandfather of all lenses. I have few R lenses on my shelf and they are superb designed that lead future of FL, FD, and FDn. You should include in your article. Canon made a real moron because there will be a conflict with RF and R lenses from now and on. Canon should not use the suffix “R” as it reserved for the Super Canomatic or R series. Hopefully, they will need to change to replace the “R” with another suffix. Now, you realize Nikon was not first to use the f/0.95 lens. Canon already had it for the rangefinder cameras, Canon 7 or 7s, and others. This lens was the S lens family.